I’ve been a Maker in one form or another for a long time, way before that word was even common. I learned how to sew from my mom in high school. In college, I learned how to knit and crochet from my best friend. I frequently dabbled in other crafty enterprises as well. While I would tend to learn the initial skill in person, my favorite place for improving my skills was the public library. I think there was a period where I had checked out just about every book under 746.63 (knitting) and 646 (sewing). Fast forward to today. 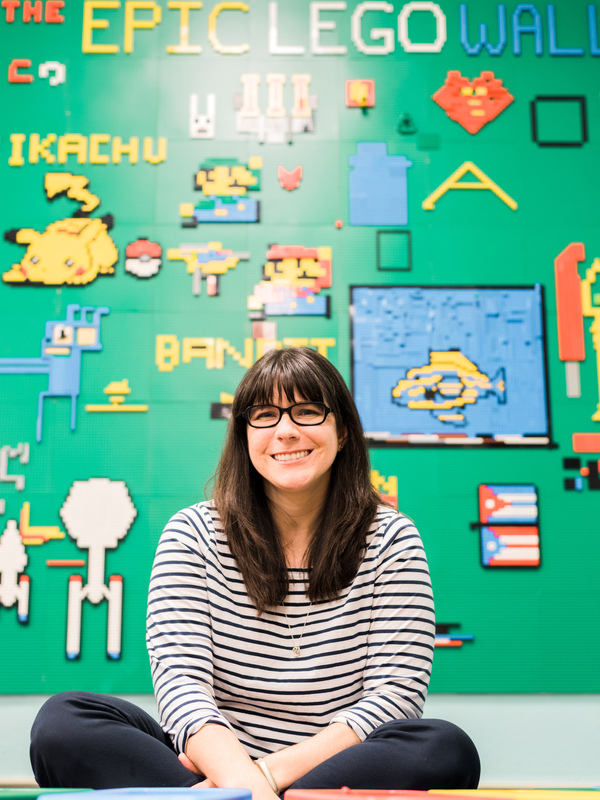 There’s a ton of amazing posts out there on all the gadgets, gizmos and supplies to stock for your students in a Makerspace. But there isn’t a lot of advice on books to get to support the skills your students are learning. Once kids get started with robotics/knitting/coding/soft circuitry/insert-Maker-skill here, they’re going to want to learn more about it. And while there’s certainly tons of Maker tutorials out there on the internet, shouldn’t our libraries be supporting these new skills with books as well? Before we even had any Makerspace supplies at Stewart, I wrote a grant to create a STEM Maker Library, adding $1,000 worth of books to our collection about Arduino, 3D printing, origami, duct tape crafts, LEGOs, etc. The books in this makerspace resource library check out like crazy, and they’ve been an important part of the Makerspace program. 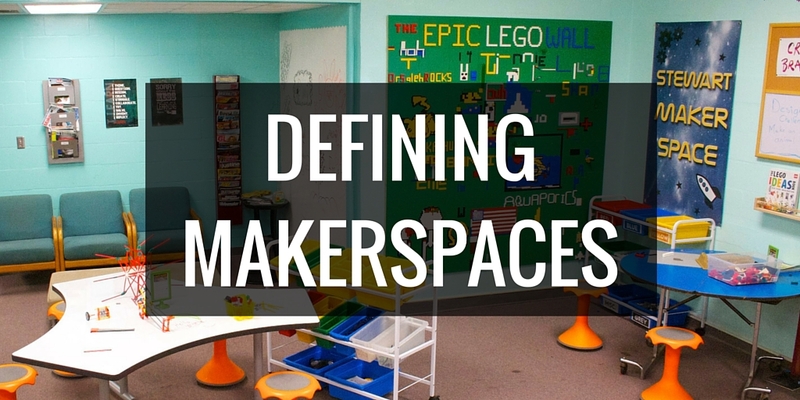 If there’s a certain tool or technology that your students are interested in but isn’t in your makerspace (i.e. 3D printer, robots, etc) get a few books on that too. These are books that are geared more towards the teachers, though some students might find them interesting as well. They are essential for your professional development library and will help you to build and grow your makerspace program. (And yes, I put my book in there, but I think it’s pretty awesome). 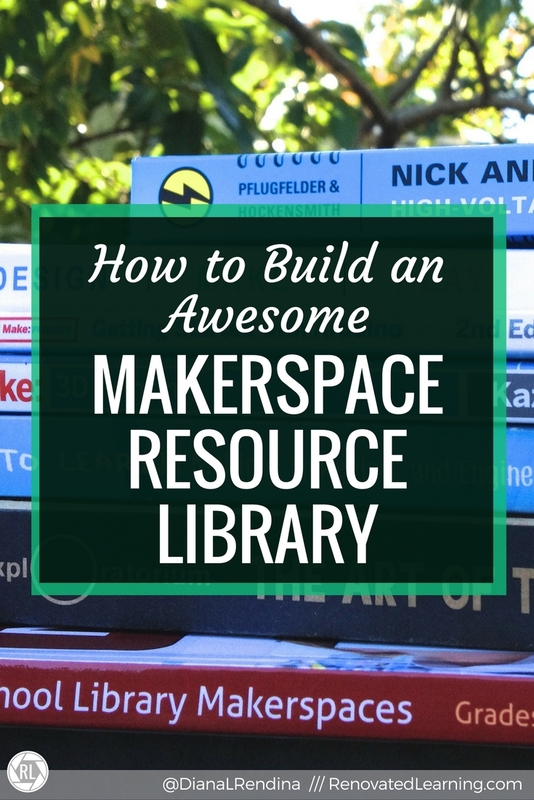 Your makerspace resource library should definitely include some project books. Books with project ideas are a great way to help kids get their creative juices flowing and build their skill sets. They might start by following the directions, but they’ll quickly begin branching off with their own ideas. Project books are also great resources for hosting maker lunches and maker clubs. You absolutely want to have books that are specific to the tools and materials in your makerspace resource library. Whether you have cardboard and duct tape or 3D printers and Arduinos, there are tool/material specific books out there for you. And even if it’s a tool you don’t have yet, you may still have students who are interested in learning more about it. I wanted a visual way to continually add more books to recommend for supporting Makerspaces and building up a makerspace resource library. Some of these books are geared towards educators who are wanting to know more about the Maker Movement. Others are geared towards students with project ideas. Some are geared towards cool science projects kids can do with their families. And I think that they can all have a place in our library. I haven’t read every single one of these books, and I don’t have all of them in my collection (yet). So obviously, do your usual vetting before going out and purchasing the entire board. What are some of your favorite books in your makerspace resource library? Tell me in the comments!